The one thing I wish I knew if i were 22, and about to start my sales career, is that analyzing the sales you win is 10X more effective than analyzing the sales you lose. For many years I was just a lucky sales guy who had this magical ability to reach prospects at exactly the right time. As a result I was a top sales performer at every company I ever worked for. Then in the summer of 2002 I figured out that my luck came from the being first sales person to reach decision makers who had recently experienced a Trigger Event that made them unhappy with the Status Quo. On September 10, 2001 (the day before 9/11), I joined the sales team of a large telecommunications company. Selling in a post 9/11 environment was really hard but within six months I got lucky and became the #1 sales person in the country. Unfortunately, the name of that telecommunications company was WorldCom and just a few weeks later they admitted to conducting 11 Billion (yes billion with a ‘B’) in accounting fraud and now no one would buy from me. In the summer that followed I took a month of afternoons off and I analyzed all the sales that I could remember winning. Status Quo: Here a buyer believes what they have meets their needs and sees on reason to change. Searching for Alternatives: Here a buyer realizes their current solution no longer meets their needs and is actively searching for alternative solutions. Window of Dissatisfaction™: Between the commonly known buying modes of Status Quo and Searching for Alternatives lives a unique selling opportunity. Here a buyer realizes that their current solution no longer meets their needs but they have not started the process of searching for alternative solutions yet. I then realized that every six, seven, and eight figure sale that I could remember winning happened because I was the first vendor to reach decision makers while they were in this Window of Dissatisfaction. So now I knew that the most valuable prospects were decision makers who recently became unhappy with the Status Quo but were so busy solving other problems that they had not started to do anything about it yet. But then I couldn’t figure something out. How could a prospect be in the buying mode of Status Quo on Monday, move into the Window of Dissatisfaction on Wednesday and all of sudden start Searching for Alternatives by Friday? 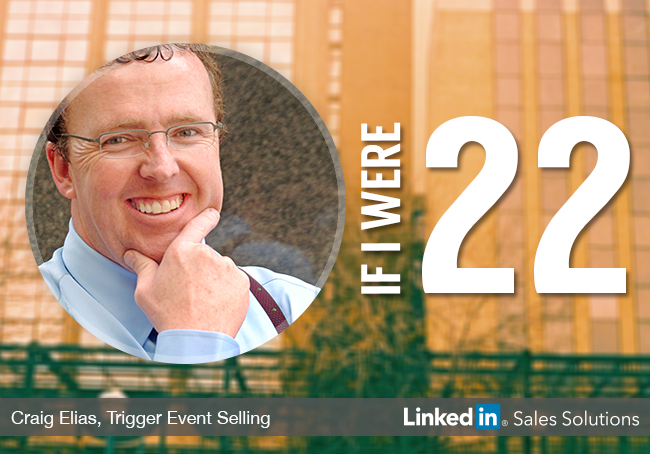 That’s when I had my second epiphany, prospects moved between the three different buying modes because they experienced Trigger Events. Justify trigger events – which gets prospects to finally make a purchase and re-enter Status Quo, this time with their new solution. After discovering this I was curious what other people had figured out by analyzing their sales. So I went to Google and searched for the phrase “sales analysis” (the importance of the quotes is that I only wanted results with those two words together in that order) and Google found over 1,000,000 pages on the Internet that talked about analyzing your sales. Because I did not want to read a million pages I narrowed my search by adding the word lost to my search. When I searched for the phrase “Lost Sales Analysis” I found over 50,000 pages on the Internet. I was amazed how much information there was on conducting a Lost Sales Analysis with the belief that if you lose the sale you don’t want to lose the lesion. BUT that was not what I had done. For the first time in almost 20 years I analyzed the business I had won not the business I lost. So, I searched for the phrase “Won Sales Analysis” and to my amazement Google found only 2 pages on the Internet! Of all the time sales people and sales managers spend analyzing sales almost no one analyzes the sales they win. My third epiphany was that by conducting a Won Sales Analysis I put Trigger Events on my mental radar screen and that turned on selective perception. Just like when you buy a new car and all of a sudden you see it all over the place or when you get pregnant and you suddenly see pregnant women all over the place I started seeing prospects who recently experience a Trigger Event all over the place. I also noticed that on many occasions prospects with money, authority, and influence only had to have the Want Trigger Event and they would buy. Because these decision makers had money they didn’t need to experience the afford event and because they have authority they are less likely to need the justify events. I took what I discovered about buying modes and Trigger Events and I started an online lead exchange called InnerSell that won Tim Draper’s original Billion Dollar Idea Competition and I collected a $1,000,000 prize. I moved from Calgary to California to collect the prize while Heather – my then girlfriend (now wife) – stayed in Calgary. We were both in our forties, had never been married, and wanted to have a family so I commuted back and forth between San Francisco and Calgary every other weekend to make try and make that happen. Luckily, within 6 months Heather got pregnant. In the six months that followed I put in place a CEO for my company and then went back home to Calgary. Within a few days of being home, I was asked to share what I had learned about Trigger Events at a CEO conference. At that conference I gave a 25-minute speech about what I knew about Trigger Evens and selling. When my speech was over I was approached by a number of CEO’s who asked me to deliver two-day training sessions and share my ideas on Trigger Event Selling with their sales teams. Because I had just become a Dad, and only had 25 minutes worth of material at the time, I asked for six months so I could spend time with my newborn son and develop a half-day training session. Since then I have trained sales teams for some of the biggest companies on the planet, written an award-winning sales book, spoken at sales meetings and conferences, and delivered webinars to thousands of people around the world. Below are my five steps to getting lucky in sales. As John Lubick says “What we see depends on what we look for” so start looking at the sales you win and doing so will take what was hiding in plain sight and put it on your own mental radar screen and turn on your selective perception. What made you choose us? – Listen the verbs that describe the outcome the customer received by using your product or service. How can we make it easier to become our customer? – Listen for any ways you can make it easier for decision makers to find you, learn the real value of being your customer (the answer to question #3 above), afford you, justify their purchase to others, or navigate hurdles that are internal to their organization. Focus on building relationships with decision makers: Prospects they have Money, the Authority to spend it, and Influence (MAI). The reason these decision makers are so important is that they often only have to experience the first event (the one that makes them want to change) before they buy. Because they have money they don’t need to have to experience an event that gives them money and because they have authority they don’t need to experience an event that helps them justify their purchase. As Stephen Covey says you “Begin with the end in mind”. Identify the decision makers who have MAI and figure out which ones matter most. People tend to make decisions based on emotion and justify them to others using logic. So while focusing on those who have money, authority, and influence is important you want to focus on those who have similar interests, values, and aspirations as you. Part of the challenge is that a lot of people feel more comfortable buying from those who are plus or minus 7 ½ years their own age so at 22 it’s extremely difficult to find those with similar interest, values, or aspirations as you that also have money, authority, and influence. The way to solve this problem it to identify and build relationships with those on the career path of having money, authority, and influence. Start by defining the title of the person and the size of company they work for. E.g. CIO of a company that has revenues of a billion dollars or more. Then use the 80/20 rule to figure out what is title the person who becomes the CIO of a billion dollar company has – CIO of a company with $500 million to one Billion in revenues and the VP of IT of a Billion dollar company. Then do this again for the two titles you just identified. When you are done you should have what looks like an organizational chart - one person at the top, two people in the middle row and four people in the bottom row. This org chart shows you the career path of those prospects worth building a relationship with because they are likely to become a decision maker with money, authority, and influence. Build relationships with them when they are early in their career and they will take you with them as their career progresses. Now that you know the titles of those worth building a relationship with harness the power of job changes and the domino effect – One job change creates multiple opportunities – to reach decision makers at exactly the right time. Follow them to their new position – don’t wait for them to contact you. Find out where the person they replaced went and call them, too. Contact the person who replaced your prospect at their previous position. Find out where the person who took your prospect’s job came from because that company now has a vacancy and whoever fills that position will be new in their role and is now up to 10X more likely to become your customer. Create a saved search with your ideal prospects title and LinkedIn will notify when someone new has this title. Following the job changes of just 100 key decision makers and then the multiple opportunities created by their domino effect results in 270 high-value leads in just 12 months and 970 within 2 years. Be sure your LinkedIn profile contains info about your interests, values and aspirations not just what you do, what you are good at, and your career success. Have a look at my profile and you’ll notice information about my philosophy, motto, values and the fact that I’m a cub scout leader, coordinate and am one of the Wildwood Rink Rats (volunteers that brave -20 degree weather to create and maintain one the of the best outdoor hockey rinks in Calgary) and that I drive that famous piece of ice maintaining equipment called a Zamboni. Only then do my 7,000+ endorsements for Sales, Lead Generation, Business Development, Strategy, Marketing and Entrepreneurship, etc. matter. The moral of my story is to learn from your successes by conducting a Won Sales Analysis – especially those sales where the sale happened quickly, it was easy to reach to the decision maker, you sold at or near full price, and the customer was willing to be a reference, give you a testimonial, or give you referrals. I only wish I knew this if I was 22.